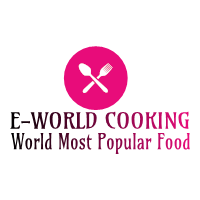 Murgh Musallam Recipe ~ E-World Cooking-The World Most Popular Food. Murgh musallam (Whole chicken) is a Mughlai dish starting from the Indian subcontinent. It comprises of a chicken marinated in a ginger-garlic glue, loaded down with bubbled eggs and prepared with flavors like saffron, cinnamon, cloves, poppy seeds, cardamom, and bean stew. It is cooked dry or in sauce and brightened with almonds and silver leaves. Murgh musallam truly signifies 'entire chicken'.The dish was mainstream among the imperial Mughal groups of Awadh, now the territory of Uttar Pradesh in India. It additionally implies well done. Kashmiri red chili powder-1/2 tsp. Prep time-20 Min.|Marination time-at least 3 to 4 hrs.|Cook time-45 Min. Take Whole chicken-1.2 kg and make some gashes/slits with a knife, so that masala enters the deeper layers and the chicken is cooked uniformly. In a blender jar take an onion, ginger, garlic, Curd, cashew nuts, almond, and raisins, as per the mention quantities. Cashew nuts, almonds, and raisins should be soaked in water for 30 minutes before using. Blend into a fine paste no need to add water separately. Put the blended masala paste into a large bowl. According to quantities add spices like salt, cumin powder, coriander powder, Red chili powder, and Kashmiri red chili powder, homemade biryani masala, and oil-2 tbsp. mix it thoroughly. Dip the whole chicken in the prepared marinade. Nicely massage the marinade on the chicken and also into the slits. Now with the help of a clean thread, tie the wings and legs of the chicken so that it retains its shape after cooking. Cover and keep in the refrigerator to marinate overnight. Or marinate at least for 3 to 4 hours. After overnight marination stuff the chicken. Smear two hard boiled eggs with salt and turmeric powder and lightly fry in oil. Stuff the chicken with the fried eggs. The chicken can also be stuffed with cooked rice items like pulao. Cook the chicken. Heat 4 tbsp. of oil in a pan. Add 2 tsp. of ghee. Now reduce the flame and add whole garam masala for tempering. Put the whole chicken and fry each side for 5 to 6 minutes. Sprinkle a little bit of Kashmiri red chili powder on each side, before turning. Once the chicken is fried from all side, add rest of the marinade, add 1 cup of water, and add salt to taste. Cover and cook over a medium to low flame for 15 to 20 minutes. After 15 to 20 minutes the masala will be cooked and will release oil. Add a little bit of sugar to balance the taste (optional). Add 4 to 5 whole green chilies for a nice flavor. Add 1 tsp. keora water, crush and add fried onions (beresta).Cover and cook over a low flame for 30-45 minutes (or until the chicken is cooked completely).Remove the lid and flip once or twice so that all the sides are cooked evenly. After 30 minutes the chicken is cooked completely. Murgh musallam is now ready to be served. It’s one of the best beast special recipes for any occasion or special moments. You can try it at your home. To get the latest update please subscribe and click on the bell icon, to know more click here.